Waking In Alania Series is a special addition to Being in A.I.S. Services. 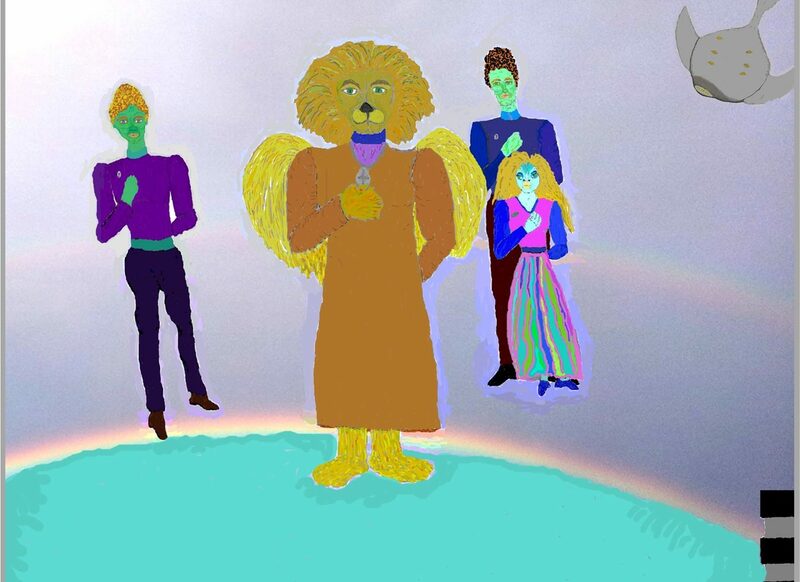 Inspirational and Empowering Stories always make difficult ideas easy to inner-stand for that ah-ha inner shift to the next level of awareness. Kara meets up with some unlikely characters from New Guam, an Island located between Alania and the continent of Musa. Musa is the last Planetary Stronghold for those that live by the Law of One. Through her encounter with these powerful people who stand between those who live as Self Sovereigns and those that want to dominate all Life everywhere Kara learns about her own innate power as a Self Sovereign Being. Can they save Tara? Waking in Alania is a vivid and powerful tale that brings to life our planet’s secret origins. Katie’s captivating storytelling evokes a clear picture of times long forgotten and awakens ancient memories in its readers. Strong Work Katie! I luved reading it. Much insight and knowledge is shared about the works of the Ancient Ones. Thank you! I had so much trouble to stop reading it to break away to do something important needing to be handled. It really moved me very deeply at times is an understatement bring tears many times to me. The memories coming back to me of those times were heart moving, with so much love of what it is to remember being one with all there is. Thank you Katie from my unconditional loving eternal being for so wonderfully scripting the frequency behind the words that so easily flowed moving me so deeply, Katie, well done! 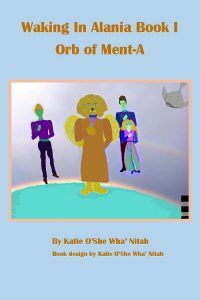 The author uses a light touch to create a fantasy world in which the characters are well defined by their realistic dialogue and imaginative description. The storyline moves smoothly to show the reflection of the sociopolitical structure of one group against that of an opposite one with vivid clarity. This novel keeps the reader involved until s/he feels at home within its locales. The mechanics of writing, such as punctuation, sentence structure, and consistency in capitalization clearly need more attention and/or study. Over all, an exciting read. 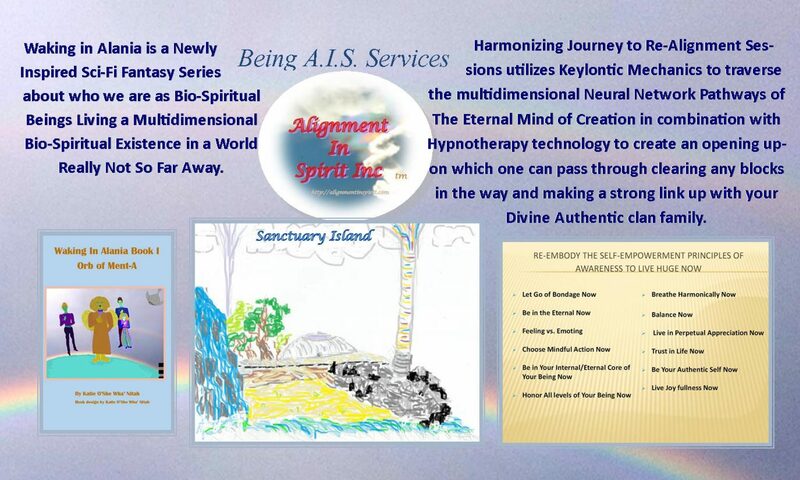 ***If you enjoy Waking in Alania Series and Self-Empowerment Principles of Awareness to Live Huge Now then please Subscribe to Being AIS Services Mailing list to receive your free Ebook copy of “Being In Alignment Be The God Source 1st Eternal That You Be”.